This content is provided by Michael S Goldman. 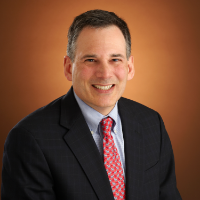 Michael S. Goldman is Head of Cravath’s Banking and Credit Practice, and has been described as someone who “truly loves his craft – a fantastic all‑round lawyer” (Chambers Global: The World’s Leading Lawyers for Business, 2018 edition). His practice includes complex syndicated loan transactions, acquisition and leveraged finance, asset-based lending and securities offerings for both U.S. and international clients.